The labour market remains tight in Singapore, with local unemployment levels staying put at significantly low percentages. That was one of the key findings of a new report released by the Ministry of Manpower’s Research and Statistics department. The Labour Market, Third Quarter 2014 report found the seasonally adjusted unemployment rate in September 2014 remained low and steady from a quarter ago at 2.0%. The unemployment rate for residents was 2.8%, and 2.9% for citizens. Long-term unemployment also improved over the year. “10,800 residents, making up 0.5% of the resident labour force, were looking for work for 25 weeks or more in September 2014, down from 12,600 or 0.6% a year ago,” the report stated. 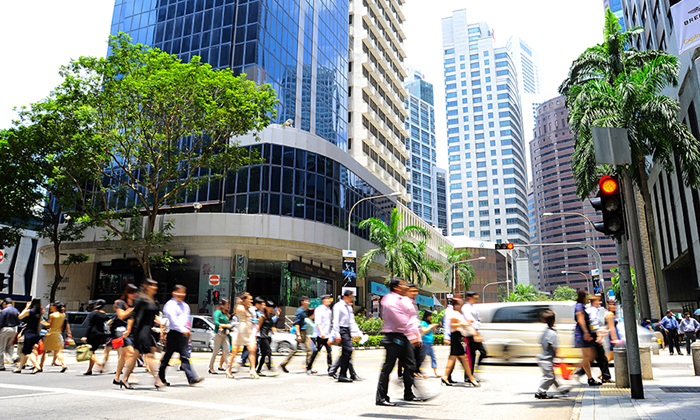 It added total employment in Singapore was 3,583,200 in September 2014, a 3.8% increase than a year ago. Despite the fact that more workers were laid off in the third quarter of 2014 (3,500) than in the preceding quarter (2,410), the report highlighted the rate of re-entry into employment within six months of redundancy improved. “Based on CPF records, 55% of the residents made redundant in the second quarter of 2014 secured employment by September 2014, up from 53% experienced by the previous cohort in June 2014,” the report stated. Job openings also continued to outnumber job seekers, although the seasonally adjusted number of job vacancies moderated over the quarter by 5.9% to 60,700 in September 2014. An exploration into people's morning behaviour shows exactly what workers around the world get up to before starting their day. ..
Paternity leave will be extended from three days to six weeks, along with the introduction of adoption leave and family caregiver ..